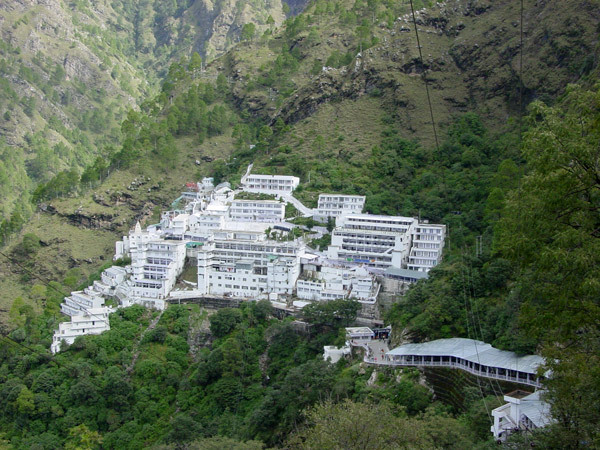 For any devout Hindu, a pilgrimage to Vaishnodevi is a fulfillment of one of his holy obligations in life. It is considered one of the 108 shakti peeths in India, the place where the blessing hand of Goddess Sati resides. Wishes are granted by the blessing hand, making the temple a much visited place by people praying to Mataji to grant them their boon. Vaishno Devi is located about 12 kilometers from Katra in Reasi district at a height of about 5300 feet. The easiest way of travel is to take a train from Udhampur to Katra or fly in to Jammu Airport or take a train to this city and from there take surface transport to reach Katra, about 50 kilometers away. 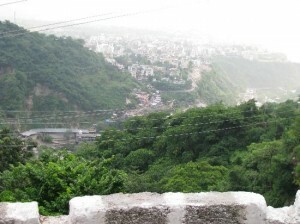 Pilgrims traveling in private vehicles can opt for the bypass near Kunjwani and proceed directly to Katra. 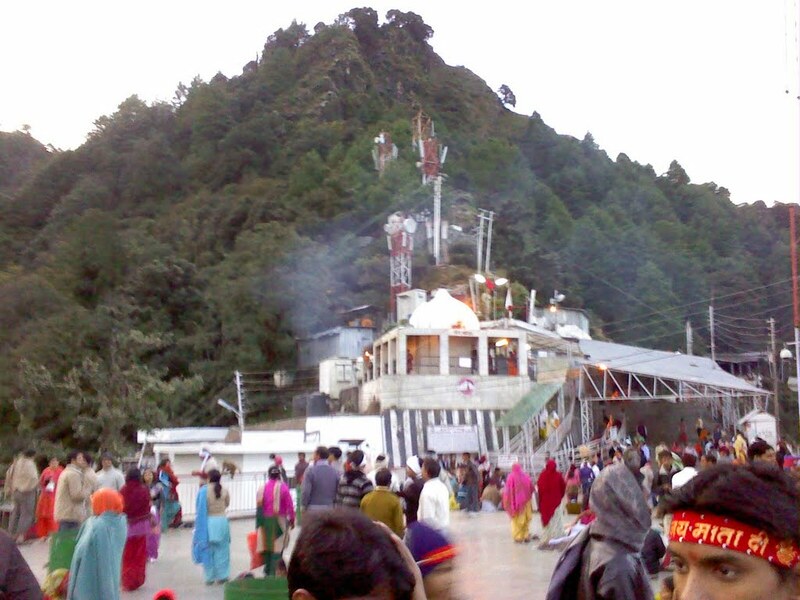 Pilgrims must know that they will have to pass security check on the way to Katra, at a height of 2500 feet, serving as the base camp. From here, pilgrims might either go, by walking the 12 kilometer path to the Holy Shrine, get aboard palanquins or ride on ponies. pilgrims and does make the trip easier through assistance such as railway reservation, provision of warm clothing and other facilities. Pilgrims need to be careful of touts and private hotels or shops that try to take advantage and charge high rates for accommodation and services. In general, people are helpful and pilgrims can find travel, doli or pony hire and medical as well as communication facilities quite easily. The best time is from April to June, which, unfortunately, is also a period when there is a heavy rush. Visiting during Monsoon may be a bit inconvenient but there are fewer people and pilgrims can enjoy vastly different scenery. In winter, it gets quite cold and you need to carry heavy woolens but the countryside is covered in a white blanket and has a charm of its own. The Shrine is open the year round. 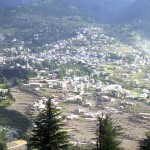 From Katra the Holy Shrine is about 12 kilometers away and after Darshan and return, pilgrims may opt to visit Charan Paduka, about 2.5 kilometers away, Adhkuwari, about 6 kilometers away, Himkoti about 8.5 km away, Banganga, 1 km away, Bhairon Ghati about 14 kilometers, Bhawan about 13 kilometers or Sanjichhat about 9 kilometers away. These are all connected to Vaishnodevi and have some religious significance or the other. After the arduous 12 kilometer trek up steep rocky slopes of the Trikuta Mountain, the sight of the Shrine is immensely gratifying and gives new strength to tired legs. Trikut means three peaks and the Shrine actually is a natural cave with three raised rock formations known as Holy Pindis, the manifestation of the Holy Mother and Supreme Energies. The three rocks have a common base but each has a unique color and appears to be different in material make up. This rock formation stands surrounded by water with a marble platform all round to permit devotees to worship. The Central Yellow-red Rock is Mata Lakshmi, representing wealth, prosperity and happiness in life. To her left stands the black colored Pindi of Mata Kali representing dark forces and her power to conquer such forces. To her left is white colored Pindi of Mata Saraswati representing purity, light, piety, wisdom and knowledge. The Shrine is open 24 hours a day throughout the year and due to the long queues, pilgrims can only have a brief but highly fulfilling darshan. The highlight, for a pilgrim, is to attend the Aarti conducted once before sunrise and once before sunset, an elaborate, extended two hour ritual where the Pindis are bathed in water, ghee, honey, sugar and milk, after which the Pujari dresses the Goddesses to the chanting of mantras. Votive offerings follow. Pilgrims must stay outside the cave and are offered Prasad at the end. Pilgrims can opt for a special pooja ceremony. The origins are shrouded in antiquity with Trikuta finding mention in Rigveda and Shakti worship being mentioned in the Puranas. 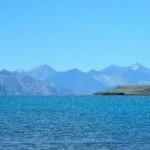 It is said to have been rediscovered about 700 years ago by one Pandit Shridhar. One legend states that Mata Kali, Saraswati and Lakshmi got together and combined their spiritual energy from which a young girl emerged. The Goddesses explained to her the purpose of her life and asked her to be reborn as a girl. She was reborn in the home of Ratnakar in South India and displayed divine spirituality at a young age. Named Vaishnavi, the girl chose to meditate and undertook penance in the forests where Lord Rama visited her. She recognized him as Vishnu’s incarnation and desired to merge herself into him but Rama refused, saying he would visit her another time and if she recognized him, her wish would be granted. The next time around, she failed to recognize him so the Lord asked her to meditate at the base of the Trikuta Hills to gain her wish. She set up an Ashram and people flocked to her feet. Gorakh Nath, a tantrik, sent his disciple, Bhairon Nath to investigate her. Bhairan Nath was charmed by her beauty and asked her to marry him and she refused. He pursued her and shewent on to Banganga, Charan Paduka, Adhkuwari and then finally to this cave, where Vaishnavi killed him and his severed head fell on a nearby hill top, a place of pilgrimage too. Vaishnadevi decided to merge herself into the rocks and meditate in perpetuity and thus the three Pindis came into being and are there for eternity.